Jim Resnick August 30, 2018 Comment Now! Today's muscle cars do the full dance, though, and do so with damn near no excuses. Modern American muscle machines typically throb to the familiar beat of eight cylinders, just like in 1969. 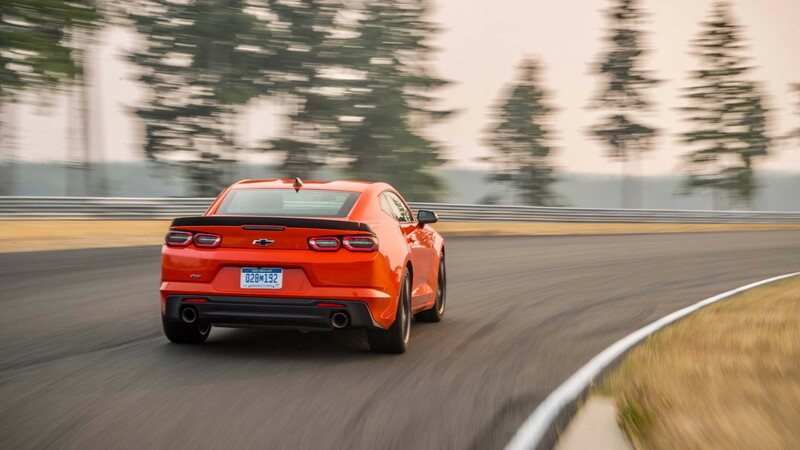 Chevrolet alters that beat with its V-6 Camaro 1LE, but now it’s getting even slimmer with the new 2019 Chevy Camaro Turbo 1LE powered by a 275-horsepower 2.0-liter turbo-4. It's lighter, less costly (at $30,995, including destination) and leans on lessons learned from its more-powerful brothers. The Turbo 1LE aims for drivers now served by sportsters as varied as Hyundai's Veloster N, Ford's Focus RS, Honda's Civic Type R, Subaru's WRX STi, and even Kia's Stinger, despite the latter being a large-ish four-door hatchback. Chevy’s production plans call for about 1,000 of the Turbo 1LEs per year, though Chevy is not limited in production capacity, nor in timeline to build them. Visually, the Turbo 1LE's body is minimally different that other Camaros, keeping the changes to a black hood and side mirrors and no specific badging. On performance alone, Chevy makes damn good sense. Our track session at Ridge Motorsports Park outside Seattle shows the manual-only turbo 1LE to be athletic, tidy, chuckable, and user-friendly. There's very good power, though the 2.0-liter turbo-4 four falls short of breath at about 5,500 rpm on track, so I make the editorial decision to short-shift up at about 5,300 rpm, which actually helps on several corners at this track. The shifter is a bit notchy, though this might improve with time and miles. As is the case with every recent GM car with a clutch pedal, the other two pedals are easily heel-and-toed for pro-level downshifts. 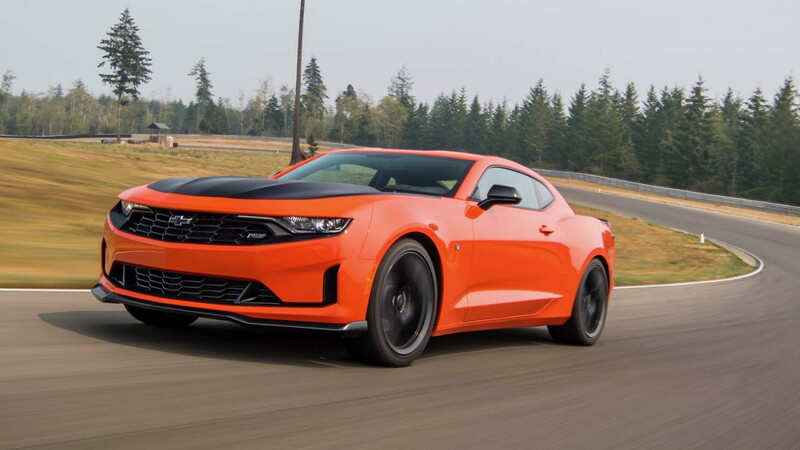 The Camaro smooths over the ragged edge of adhesion in both slow- and high-speed corners, and the brakes are fully up to the punishment that the engine's and chassis' speed will inflict. A Competition Mode within the stability control system that allows a limited amount of slip (or yaw) at the rear helps, too. Chevy claims a cornering grip level of .97 G, up from .85 G with the base car. Out on public roads, the 1LE has a slightly loud ride, though much of our route uses concrete roads, which are far louder than blacktop. More impressively, the ride motions are quite tame given the stiff suspension. But there's no escaping the feel of peering out onto the world through a tank-like turret, with high window sills and shallow glass all around. Elbows-out driving with the windows down is not possible. In addition, the high center console encroaches on elbow space, especially when shifting into the abaft 2nd, 4th and 6th gear gates. To elicit a unique song from a turbo-4 is rather difficult. Especially when coming from a platform that also offers big, burly V-8 sounds, the Turbo 1LE's rather innocuous soundtrack is a disappointment. Chevy had no budget for a heavy exhaust rework to make it more musical, and it shows. Diving into the hardware, the Camaro Turbo 1LE rides on front springs that are 6 percent stiffer than the non-1LE's thanks in part to the weight loss with the 4-cylinder engine. Though the front anti-roll bar is a unique part because it must wend its way around the engine's different oil sump, it gives the the same roll stiffness as the one from the V-6 1LE. Meanwhile, the rear anti-roll bar is a hefty 5.3 mm thicker than the base car's and is also 200 percent stiffer in roll. This way, Chevy can use very soft rear springs that allow for better rear ride compliance and grip when accelerating out of corners. Brakes are four-piston Brembos from the V-6 1LE (same as the V-8 SS model's, too), the suspension bushings are all V-6 1LE parts and all the lesser chassis minutiae is V-6 1LE, as well. 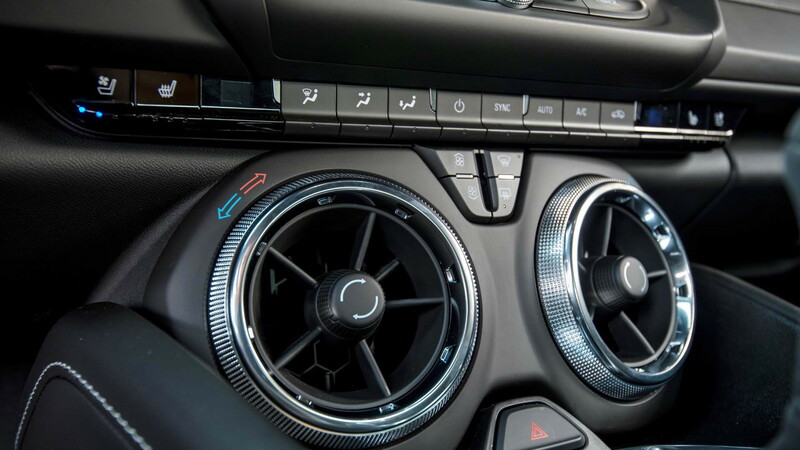 Since the small turbo engine package does not need the V-8 models' multiple coolers and the associated fluid for them (including those for the differential, transmission, and charge air cooler), it also loses that weight, too. But to pair off in the marketplace against hot hatches that have long-standing aftermarket engine tuning support (the Camaro 1LE's front-wheel-drive-derived turbo-4 engine has little) and the car’s form factor that doesn’t allow even one track tire stuffed inside, nor in the trunk—that’s folly. The Turbo 1LE could be a giant-killer on track, but its inherent impracticality likely will hold it back. This particular track-rat audience looks to cars that not only offer great performance and an opportunity to wrench, but also equally good interior access and storage. 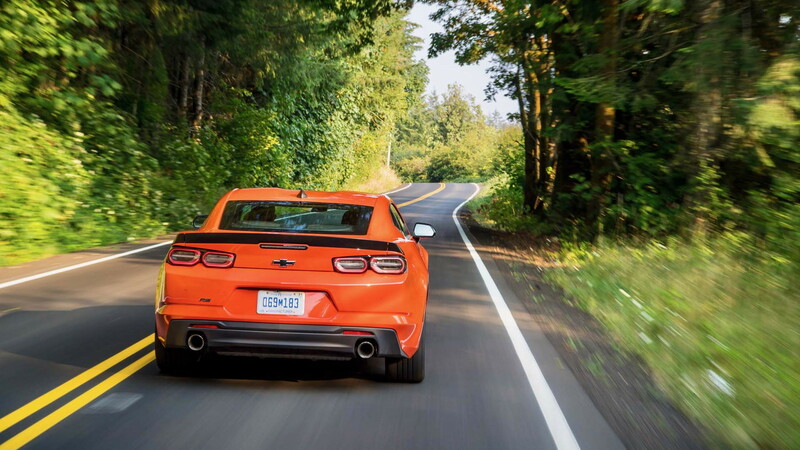 The Camaro's trunk suffers from a high liftover height and a very small opening, through which full-sized luggage has a tough time crossing the threshold—let alone one sticky track-oriented tire. The backseat is also small and hard to access. The new Turbo 1LE is a real athlete, but with heavily hampered storage and back seat space, it may be like Rudolph before Santa discovered his red nose—looking for the reindeer games. 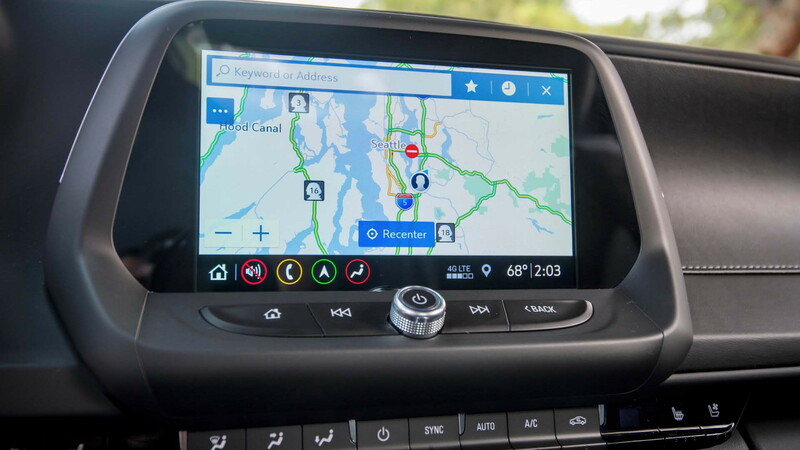 Chevrolet provided travel and lodging to Internet Brands Automotive to bring you this firsthand report.